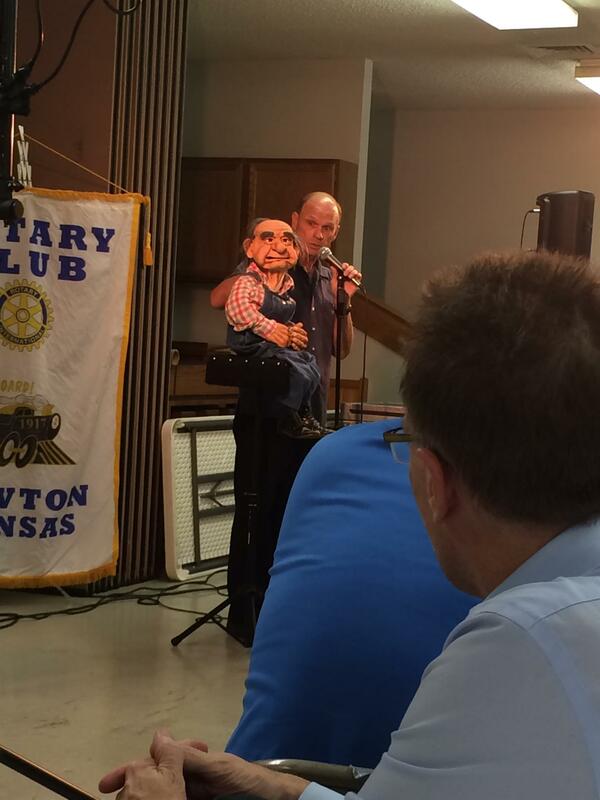 Greg Claassen, ventriloquist, and Harley entertained the Rotary Club of Newton at their annual picnic meeting. This year the meeting was held at Our Lady Of Guadeloupe church where they were served a delicious Mexican dinner. Harley had several friends in the audience that he poked fun at. Many of the Rotarian bring spouses and guests to this meeting. All enjoyed the humour provided by the entertainers.